Police Scotland’s Mountain Rescue Team were called to the Afton wind farm in east Ayrshire on Sunday evening (21 January) to help two stranded men. A 74-year-old man was airlifted to a hospital in Edinburgh about 93km away, but he has since died, Police Scotland confirmed. The police and the Health and Safety Executive (HSE) are carrying out a joint investigation, the two authorities confirmed. In a blog post published on 29 January, law firm Thomsons Scotland wrote that the 74-year-old man was a security guard at the wind farm. Site owner Afton Wind Farm Ltd could not confirm the identity of the victim, but stated that he worked for a subcontractor at the site. The developer is also carrying out its own independent investigation into the man’s death. A spokeswoman added: "We confirm that there has been a fatality in connection with the project. Our deepest sympathy and thoughts are with the family of the deceased at this time. "Health and safety is taken very seriously by management and we are cooperating with the HSE and police in their investigations. In addition, we have also commenced our own independent investigation into the incident." Heavy snow had caused problems across Scotland on Sunday, with UK forecasters at the Met Office issuing a weather warning across the country, the BBC reported. Police Scotland had been called to help the two men, aged 74 and 42, at about 8.50pm on Sunday 21 January, a spokeswoman confirmed. The older man was taken by helicopter to the Royal Edinburgh Infirmary hospital where he later died. She said pending the investigation by Police Scotland and the HSE, a report would be sent to the Procurator Fiscal — a public body responsible for prosecuting crime and investigating sudden or suspicious deaths in Scotland. Investment manager InfraRed Capital Partners bought Afton wind farm for £78 million ($89 million) from utility E.on in September 2016. Afton Wind Farm Ltd was set up to deliver the project. 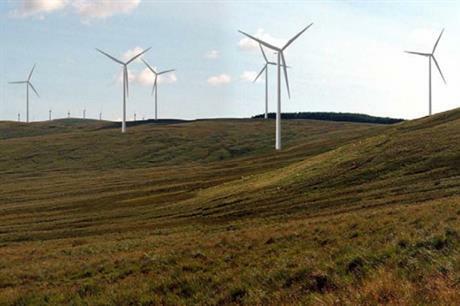 The site, which will use 25 Siemens Gamesa 2MW turbines according to InfraRed’s website, is "still under construction", a spokeswoman for Afton Wind Farm Ltd said. But she said she could not say when it would be completed, while the investigations were being carried out.